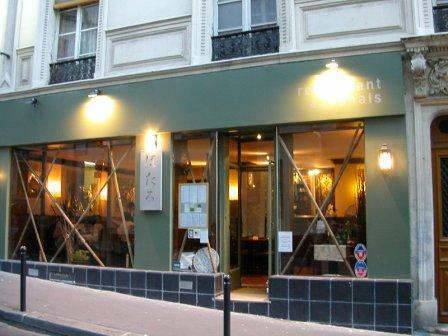 Often rated the best sushi restaurant in Paris, Isami also ranks first among the city’s top 50 Japanese restaurants in a guide to Japanese food in France published by Cuisine Japonaise Authentique, a private organization. Expect to find plenty of Japanese tourists among the diners, and not just because of the delectable dishes. Isami was also a favorite of Keiko Kishi, a renowned Japanese actress who lived in Paris for years. Aida’s specialty is its teppanyaki—fresh seafood, meat, and vegetables grilled on a searing hot stainless-steel grill. Also featured in Cuisine Japonaise Authentique’s guide to Paris, the restaurant has seats along a counter where diners can watch chef Koji Aida whip up meals. Kinugawa is a landmark among Japanese restaurants in Paris. It has offered Japan’s exquisite kaiseki cuisine for more than two decades. Only a few minutes’ walk from the Tuileries Metro station, it’s a favorite among French celebrities. Wine and dine with the rich and famous for $110, which gets you a bento box lunch with dessert. A handsome Zen-style setting — the walls are covered in aromatic red-cedar shakes and milk-glass lamps cast soft light — and superb omusubi (garnished Japanese rice balls) have made this just-opened lunch-only restaurant a hit.